Do you end up buying really pretty rings from shops, then getting home and finding out the horrendous news, that they don't fit? Dun Dun Duuunnn! I do, literally all the time. They are either too big or too small. I never win when buying rings! After going through my jewellery today, I realised I have so many rings that I can't part with even though they are too big for me. 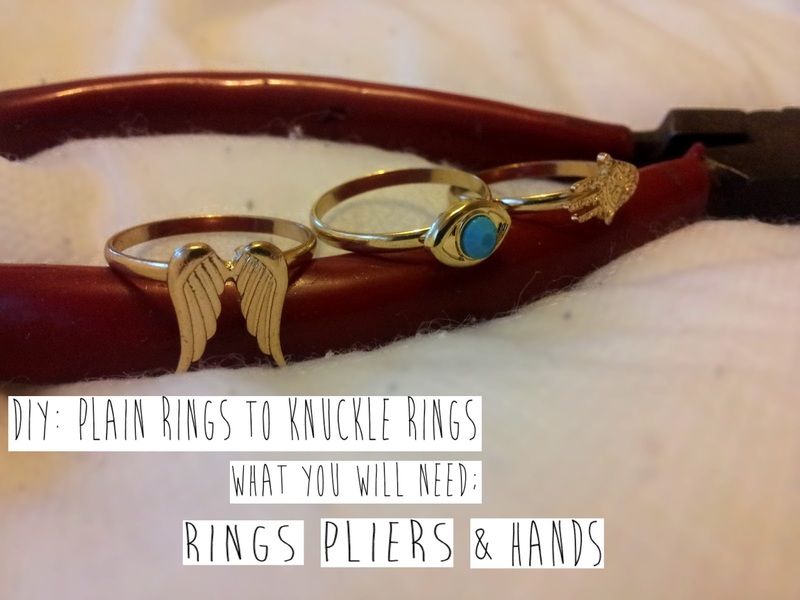 So I thought that I would turn them into knuckle rings. Once done, slide the ring back onto your finger, stopping just above your knuckle. 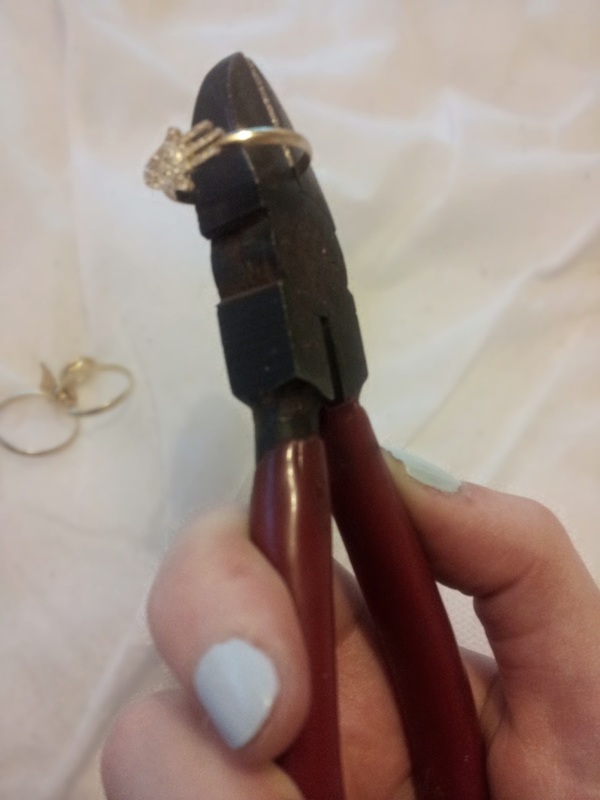 Then all you have to do is adjust it to the size you need so the ring can fit snugly onto your finger. 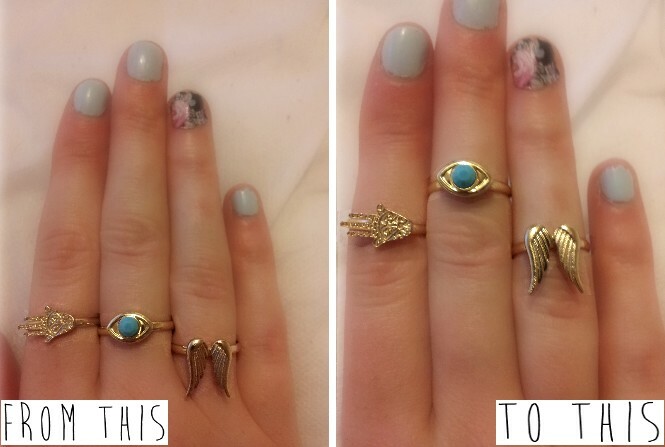 And there you have it; plain rings to knuckle rings! great idea and it's so easy as well! Great idea! They look so much cuter as knuckle rings! Thank you. I thought that. Rings tend to look a bit weird on my fingers haha. Such a good idea! Just found your blog, love it! Followed!